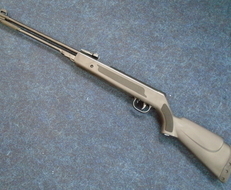 Air guns are a very broad category that features a huge variety of guns for you to choose from. There are many different combinations of price, category and calibre air gun on offer, which are suited to basic hunting, target practice, and even extreme sports. Pistols, rifles and airsoft guns are the main options in this category, but then there are big choices in terms of ammunition calibre too - with 8 different categories depending on the purpose of your purchase. We’ve got over 6000 air guns on our site, so take some time, narrow down your search and pick your perfect model.